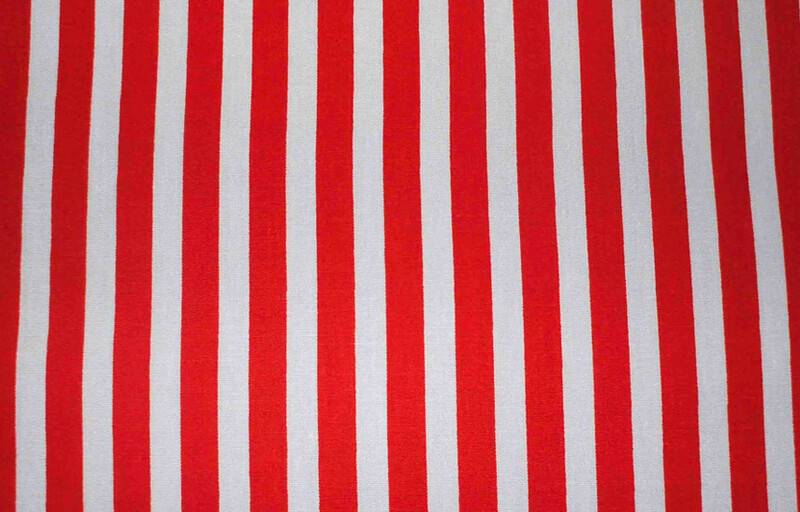 … vertical stripes, depending on how you look at it? In fact, I’ve been ribbed about this very subject before (as in lines vs stripes) by my friends, as they simply couldn’t understand why I saw, and described vertical stripes as lines: but I can’t help it – it’s just what I see. Stripes are horizontal, aren’t they? Like a Breton…? Plus, does it really matter anyway? 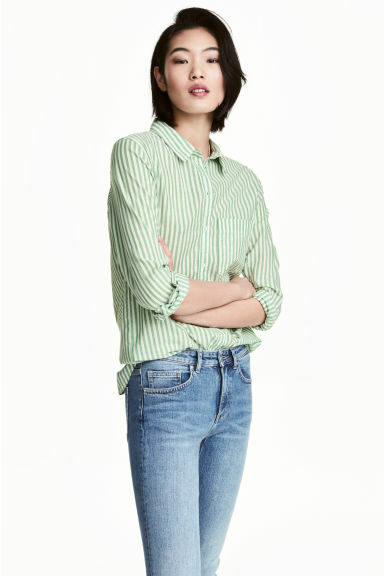 My lovely insta-bud Sue did a great post on a ‘vertical striped’ HM shirt she’d bought… but the best thing about the post for me was it was titled “Parallel Lines” – means I’m not the only one, eh?! Back to the lines / vertical stripes – they are EVERYWHERE at the mo, aren’t they? 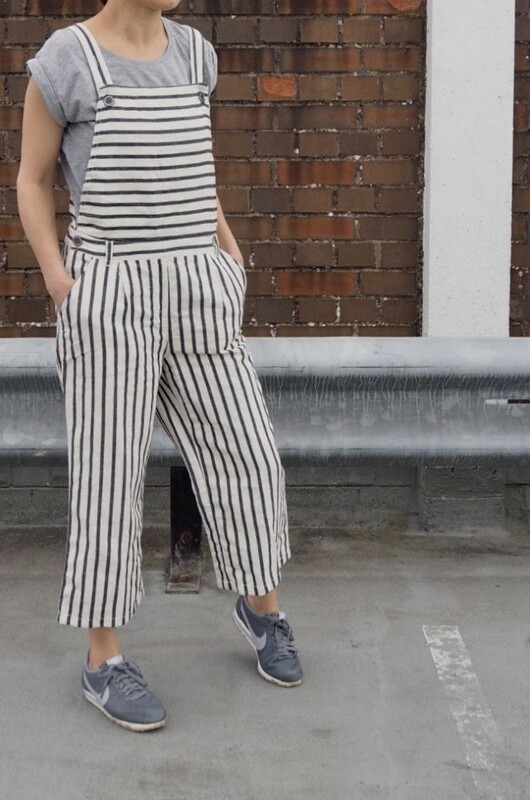 I’ve already dipped my toe with these Next Striped Dungarees (which, yes, are Girls Dungers, I know… I blogged about that fact here,) but you name it – and it comes in lines. So yes, this week, I was struggling to choose just 7 items for this list, with far too much lined loveliness all around, everywhere: so… yep, it’s another Sunday 7 deviation! This week, I’ve put in 2 or 3 items into 8 categories… so it’s a bumper-edition of a Sunday 7 if you will. 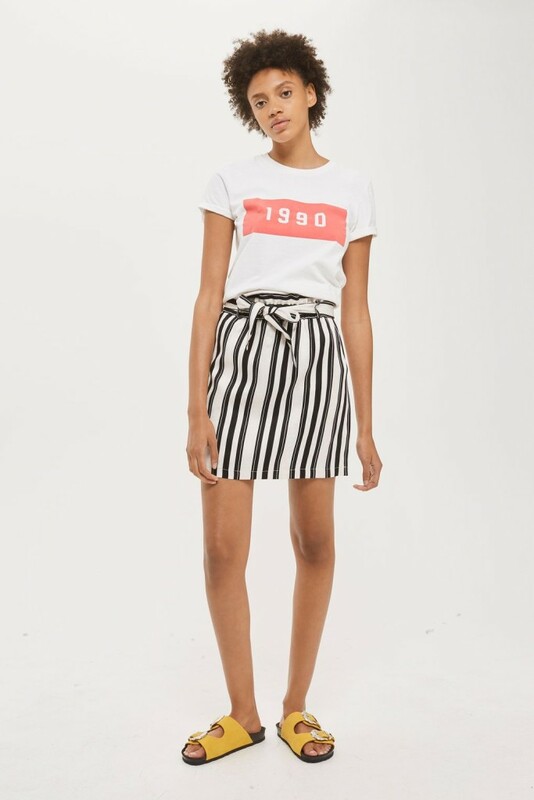 How cute are these HM Striped Scalloped Hem Shorts (£24.99)? But you know, now I am am that older woman (as in mature and wise – ha! ), and guess what? I couldn’t give a tiny rat’s @rse about what it does and doesn’t scream out to others simply because I do believe there is very much a time and place for an elasticated waist in all our wardrobes! 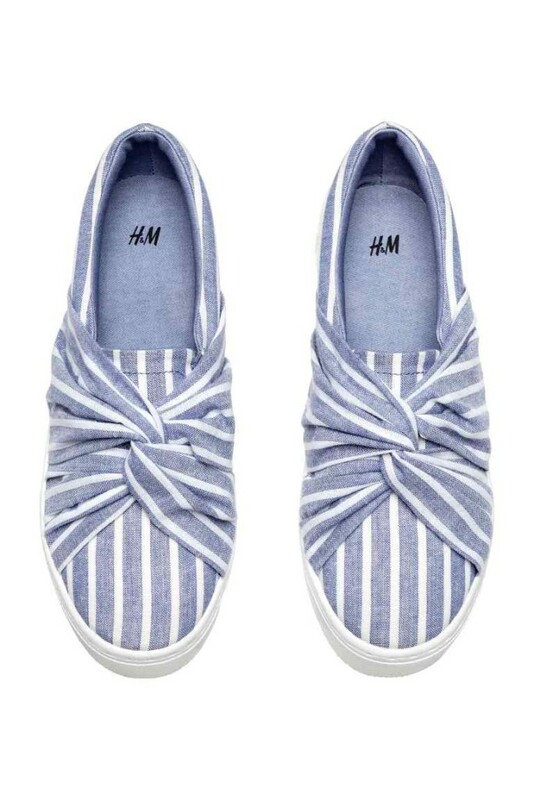 I can imagine these won’t float every boat, but I can imagine them looking fabulous with some espadrilles and a little tee, don’t you think? Or is that just me? Had I been doing a Wildcard this week, I think these shorts would have been it. And I can confirm, it DOES have pockets! Bit of a bargain, no? This Kimono inspired dress is a style which seems to be most popular with the vertical striped dresses – love the contrasting waist tie of this one. I do like it when the high street offer up attention to detail and the sleeves on this Zara Tunic instantly elevate it in the style stakes. And I’ve got to hold my hands up on this one, I think I prefer this skirt in vertical stripes to the plain navy one I featured last week: I’m fickle like that. I adore this skirt… looks a bit clunky here with the heavy suede black boots; I think it would look better with some ‘lighter’ ankle boots and pretty much any style and colour of flat shoe you can think of. This would be very long on us shorties! Uh-huh: that’s right, I said shoes! How gorgeous are these? I mean, I’m not the biggest on embroidery, but given these would be on my feet, I think I could handle it. That contrast elastic – makes all the difference, eh? 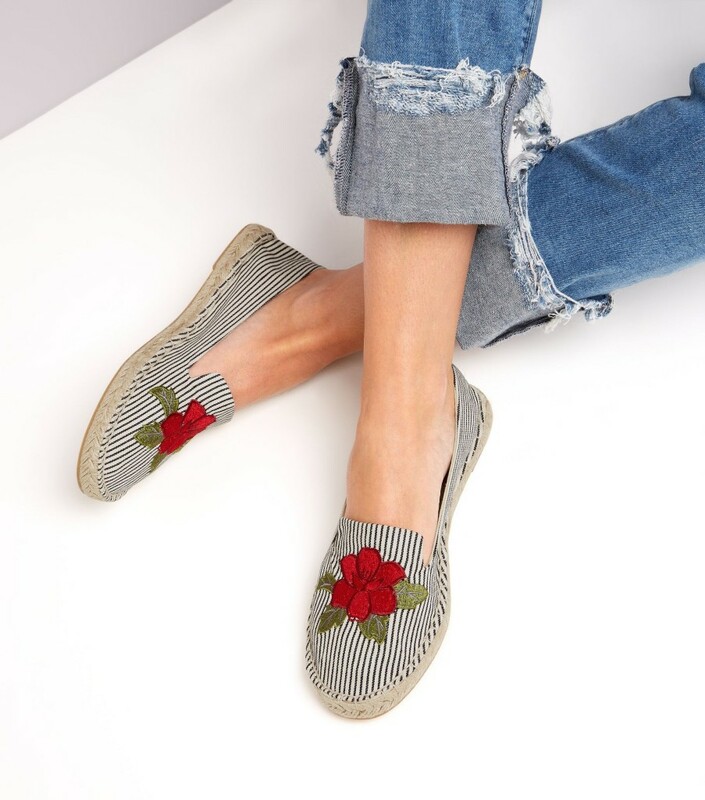 New Look also have some Gucci inspired ‘Tape Trainers‘ which are just £16.99 – in both white and navy – go take a look: very cute for the price. I want all the shoes! So many gorgeous shirts and tops/blouses with lines it’s crazy! I might have had to include 4 here… it’s been too hard to narrow down. Need it to be summer! Though, as much as I love it… these big statement sleeves do pose jacket problems: I mean the sleeves would get scrunched up into your armpits, wouldn’t they? 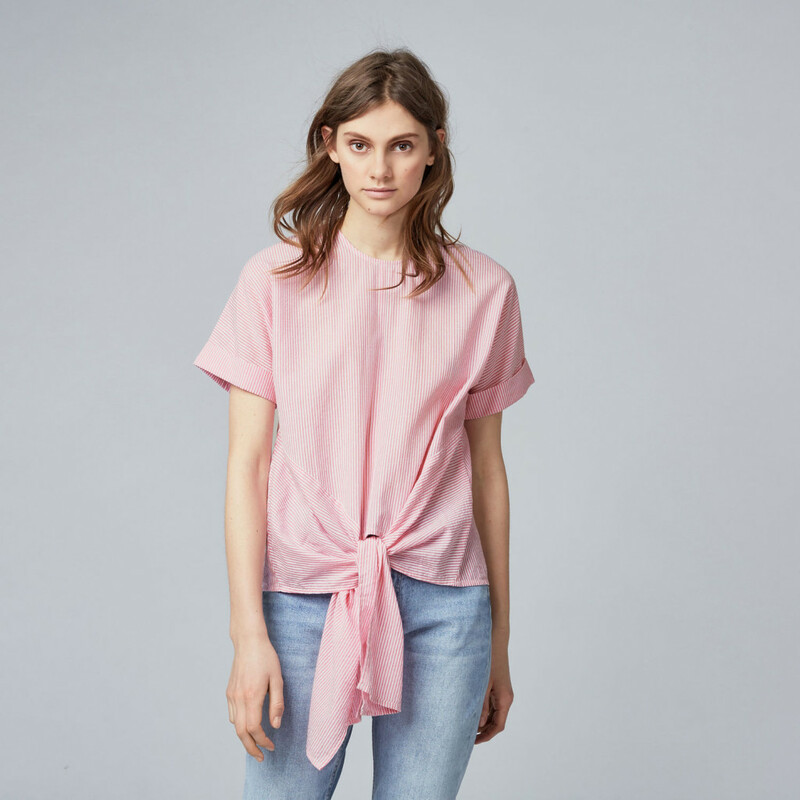 And let’s face it… we still need jackets in this country most of the year round… but for that short period when you don’t: this top would be perfecto! And if it’s a more traditional shirt you were after, HM is your shop. I do like a patch pocket! 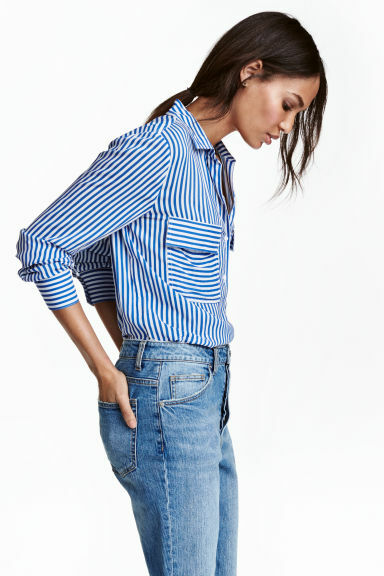 I’m drawn to this one over the many other striped shirts out there as I do love a patch pocket… or in this case – two front patch pockets. And just £10?? This jacket is only left in Size 8… but if that’s your size, lucky you! Go grab a cute, on trend jacket for a bargain price tag! Great with a pair of jeans and a simple tee. Not sure this photo shows off the versatility of this jacket, but again, it would look great over trousers, as well as a skirt or a maxi dress. I’m pretty certain I couldn’t carry this sort of colourful striped blazer off. To me, it’s one for the taller ladies. I love the jacket though… and oh wouldn’t it be fabulous to be tall! Oh yes… I did say the vertical stripe is everywhere! 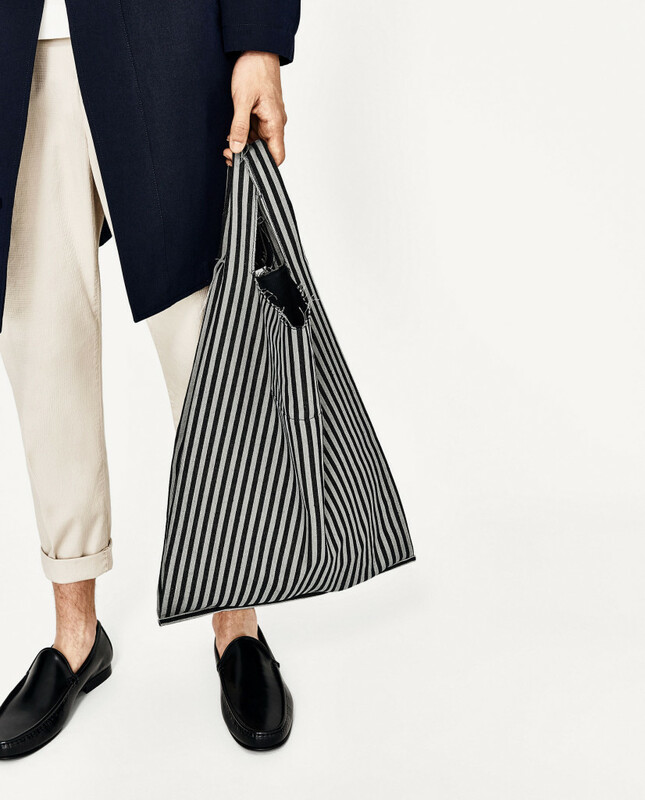 So If you don’t fancy wearing lines on your clothing, but do like the look of them… you could just accessorise with a bag? 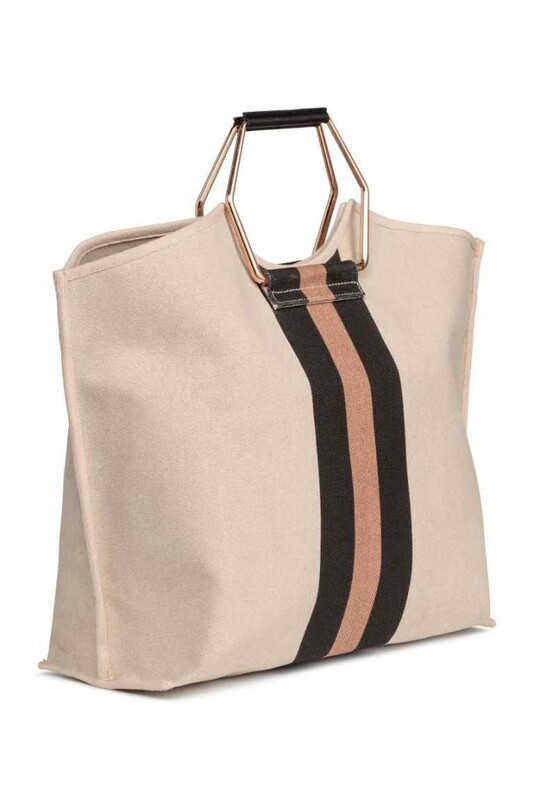 Having said in a previous blog post that I’m fiercely bag loyal and not a big bag-swapper-over-er…. I’m thinking about buying this little bag for summer simply because my lovely black jigsaw bag isn’t particularly summery. Not too heavy on the vertical stripes, but just a little nod to them! I realise this shopper isn’t covered in lines… just a wee band of them, but they’re still there! And yes, those are big men’s feet and hairy men’s legs in the photo! But I can see me wanting to carry this kind of bag more than I can my husband wanting to! 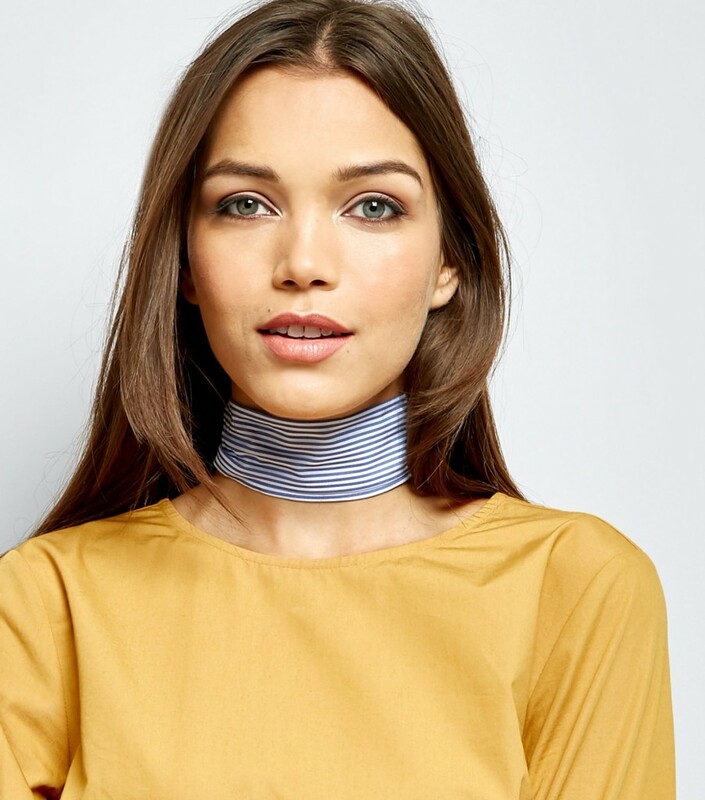 And it’s not just bags… you could accessorise your plainer outfit with a striped scarf? How lovely does this New Look blue and white necktie (just £3.99!!) look with the yellow? 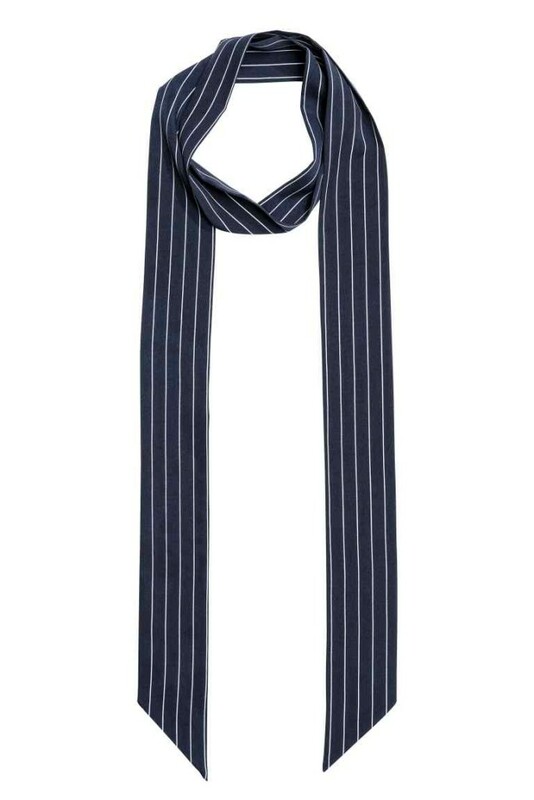 I’m going to be nipping into town next week just to seek this lovely necktie out. In fact, for a total of £11, I may well treat myself to both of these scarves. After all, a simple scarf/necktie can breathe a whole new lease of life into my current wardrobe pieces. At the beginning of my post I mentioned that these categories were in no particular order. 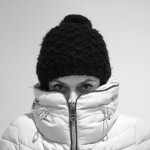 Which is true but for my number one category – my favourite item of clothing – trousers! Back in February, in my first ever Sunday 7, I featured a pair of “Beetlejuice” looking wide-stripe, black and white jeans from Topshop as my wildcard item and styled them up three ways. 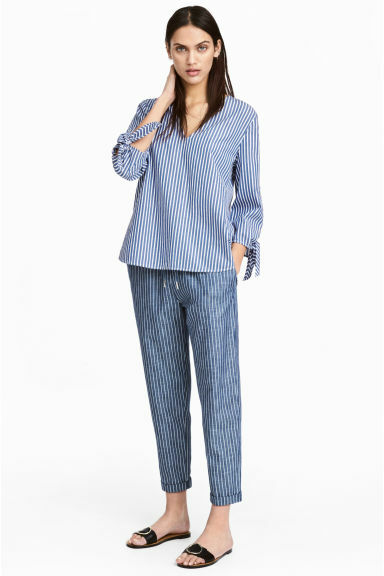 Having torn a strip of M&S last week, and still standing by all I said about their vanity sizing, I’m pretty certain that these trousers would be a total no-no (in terms of over all size) for most of us smaller chicks. However, they are pretty cool looking, aren’t they? 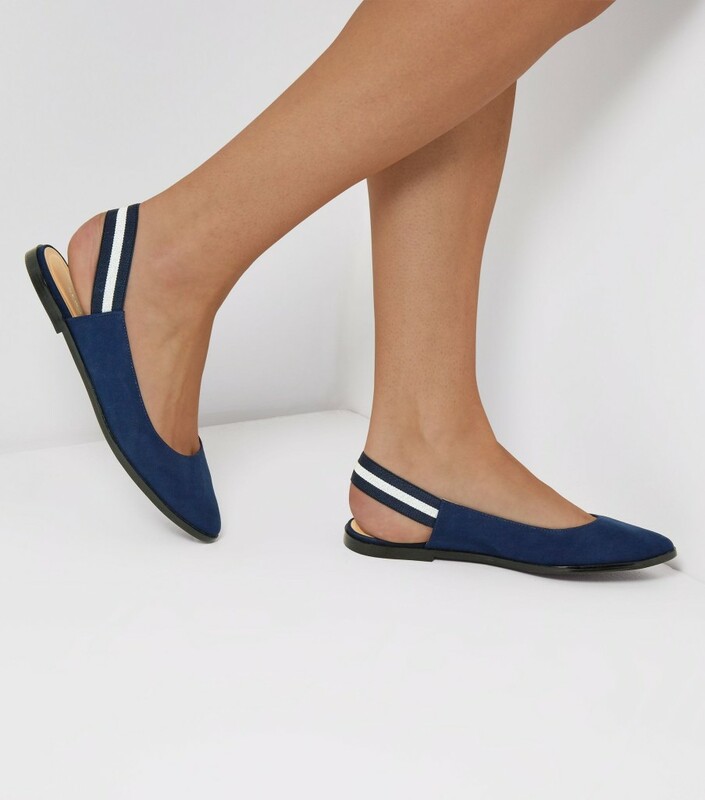 If I’m not selling them to you, take a peek at Fran (The Fashion Lift) rocking a pair; from her review of them she mention’s they’re cropped on her and that she’s not tall… so perhaps I’m wrong about them?! 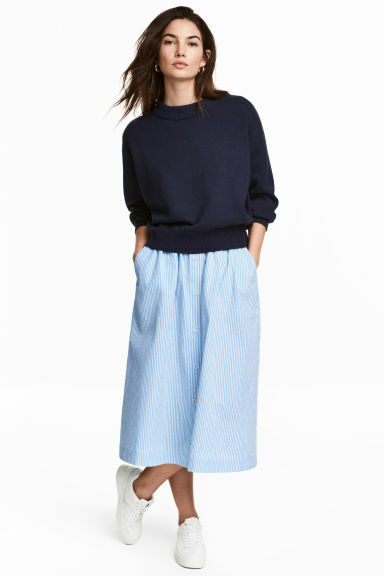 These culottes a right up my street. A little black tee, black jacket and white sneaks: my perfect outfit. Currently, Topshop do not have these in petites. However, they’d look pretty great as full length as well, or you could simply take them up? 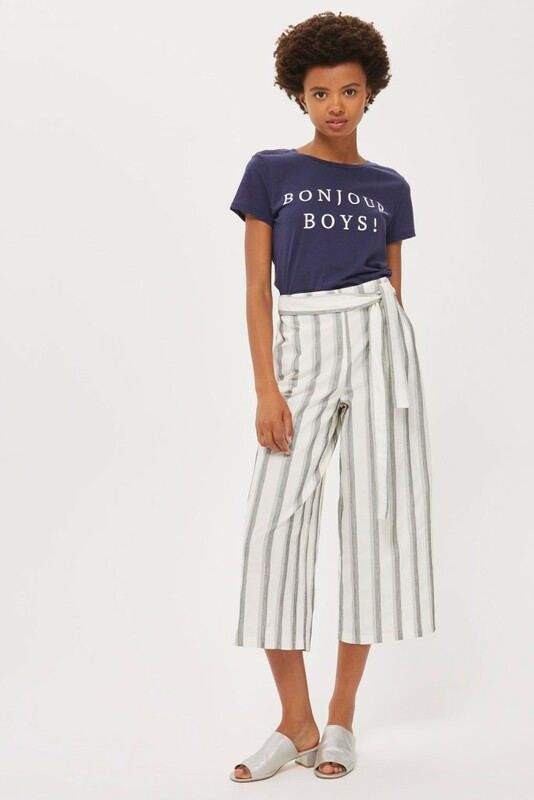 These joggers would be worn pretty much every evening on my 2 week Glamping holiday in Perpignan: they’re cotton so will be cool; they’ve got an elasticated waist – perfect for holiday over-indulgence and they’d hopefully provide a little protection from the mosi’s. And, once home… they’d work pretty well as ‘lounge-pants’. Yep… I’ve just sold them to myself! Another one on the list for my little shopping trip next week. So that’s it for my bumper-edition of the Vertical Striped bonanza of a Sunday 7. These New Look Blue Stripe Cut Out Trousers (£17.99) get a no from me. However, if you are off to a Full Moon Party in Koh Phangan or an all nighter in Ibiza… then go for your life! I’m aware that I’ve totally neglected the Playsuit/Jumpsuit category… but I may have given myself a line-induced headache: there is, after all, too much of a good thing! Would love to hear if “lines” are your thing? 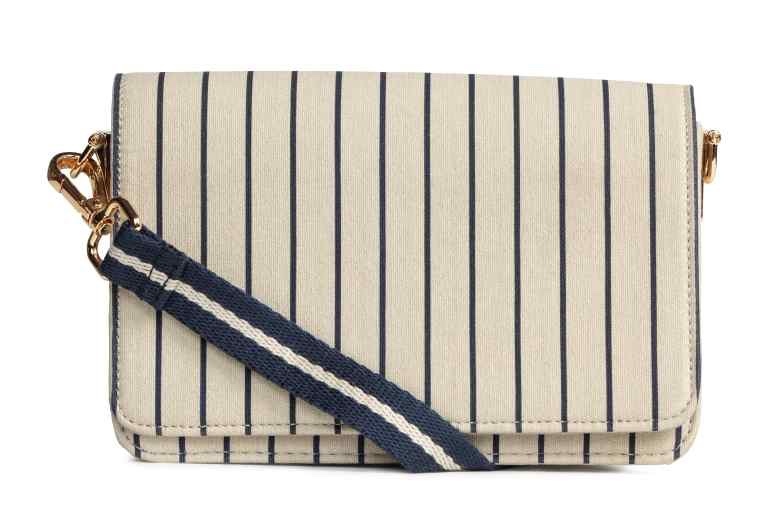 Or, are you more of a plain outfit and simple striped accessory kind of gal? I can’t wait to wear my striped dungarees… apparently the weather is picking up next week, so I might get to do just that. We can but hope, eh?! Thanks for reading – back with a review of a couple of pieces mid-week. Thanks for the lovely mention Bean! And I think we are both coveting some of the same things. 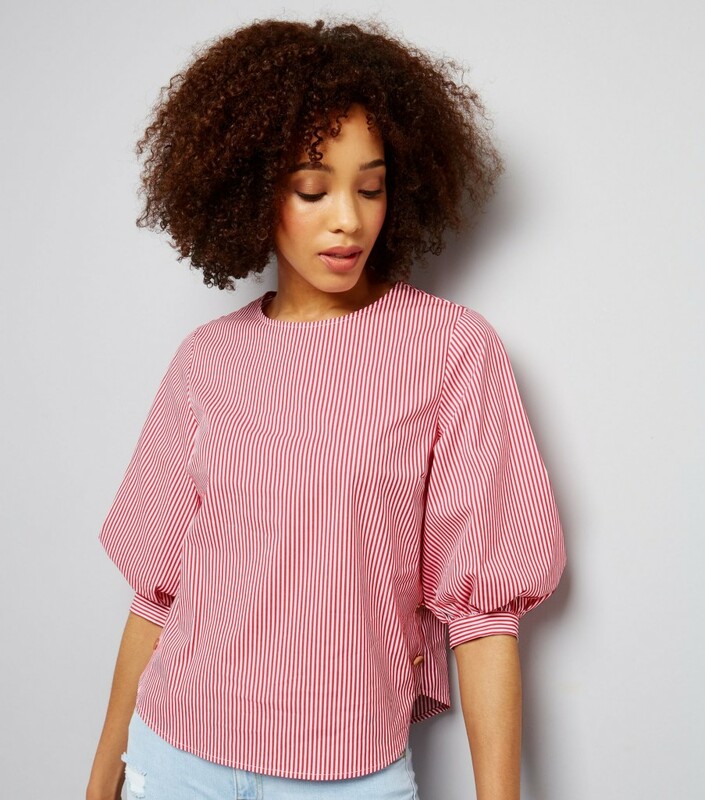 I keep pausing over the New Look red stripe top – I love the sleeves but am worried they may make me look like a muscle woman so haven’t indulged as yet. If I make a New Look order at any point, I might throw it in the basket to check out. You need to get these things out of the system don’t you?